Wow, It's been a long time since last update and a lot has happend since then. through all kinds of tests in order to improve this. 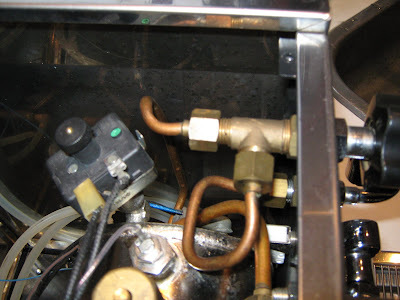 I tried descaling and changing the boiler water level but it didn't make much difference. 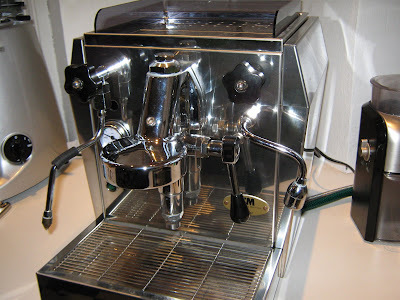 After speaking to fellow coffee freaks I came to the conclusion that the ECM Giotto Classic Steam and Water Valves are simply not cut for the job the machine is able to deliver. 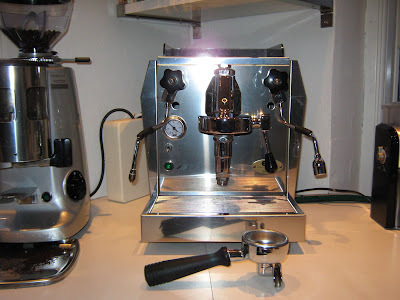 After seeing a fellow coffee nerd at the Swedish coffee forum http://www.rigtigtkaffe.se making steam mod using Izzo Alex part, I believed I had the answer. The Izzo valves lets out more steam and as a bonus you get ball jointed mountings. Here you see the Giotto Classic before Waterwand was replaced. 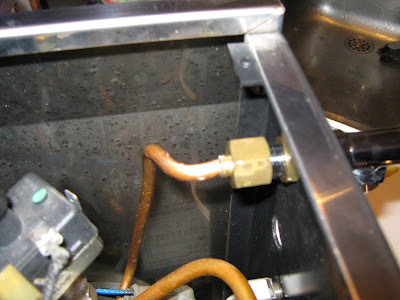 A picture of the old valve in place. Replaced with the new valve - Voila! Here's the final result! 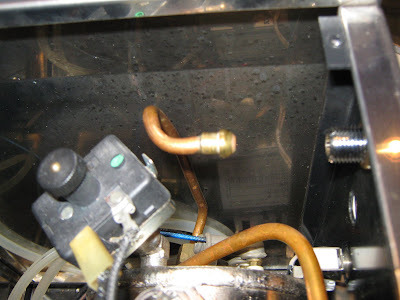 Replacing the steam wand is exactly the same operation. 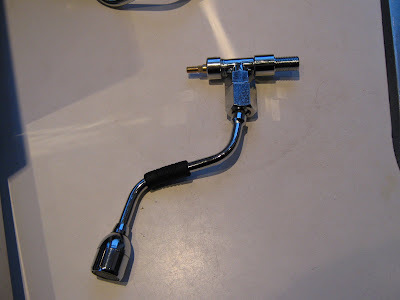 You may however need to spend more time adjusting the cobber pipes though. Here a short video of the steam power after the mod. Hi, I was wondering if I should do this on a Rocket Cellini Premium plus? I am looking to get better micro foam. I think the Rocket Cellini is pretty similar to the Giotto. I have no burn steam wands tho and lately I have been reading that they could be responsible for my bad micro foam. What do you think?